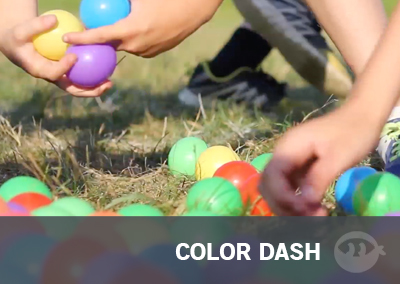 Each team must attempt to collect their colors of ball pit balls before the other team collects all of their colors. 2. 100-200 Ball-pit balls. We bought about 100 on ebay for $10. Deposit all the ball pit balls in the middle of the field. Line 3 trash cans up on one side of the field, and the other three on the other side of the field. 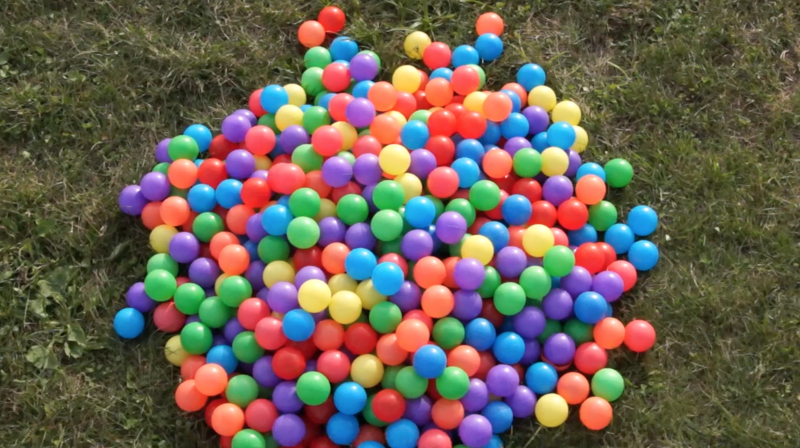 This game consists of a big pile of ball pit balls in the middle of a field. Your group is broken up into two teams, each team is responsible for returning 3 different colors to the corresponding garbage can. For example, Team One must collect Red, Orange and Yellow, while Team Two must collect Purple, Blue and Green. During the first round, the garbage cans will be nicely lined up on their sides. In the second round, the garbage cans will be mixed from one side to the other. The last round, the garbage cans will be carried by volunteers around the field.